Family Law Oklahoma City: IS Skype Visitation the Answer? There are many issues you will face when dealing with visitation and custody after a divorce. Some of these issues may develop into reasons to seek a change to your court order and some will resolve themselves as life circumstances change and people mature. When physical custody is not split 50/50, as it often is these days, you may face visitation challenges. Physical distance, and psychological or drug problems are but a few of the many issues that can present problems when you are arranging visitation. 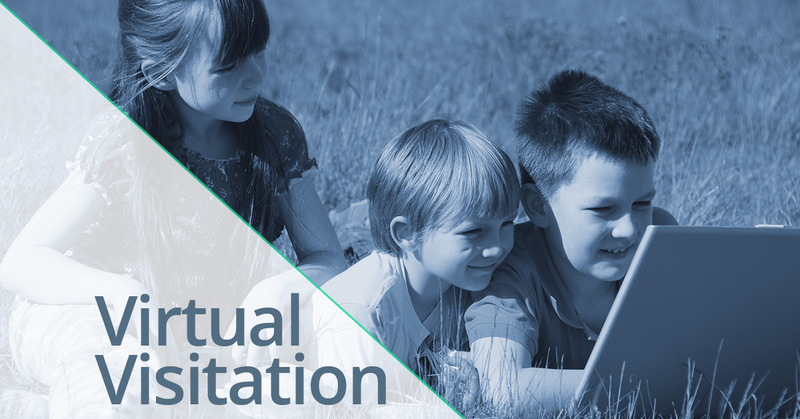 One solution that is working for many families is virtual visitation. This can include emails, chat rooms, and interactive game playing. This can be a great way for the non-custodial parent to have communication with their child or children without causing upheaval to the whole family. Another solution for distance and other issues is Skype visitation. For instance, when the non-custodial parent has supervised visitation but lives at an inconvenient distance away or supervision centers are hard to come by, Skype can be the answer. Unlike other virtual communication means, Skype gives real “face time” for the parties to get to know each other better and have a real relationship. Depending on the particular, unique circumstances of your visitation order, you may feel comfortable with a casual schedule, letting your child and the non-custodial parent set up a schedule that they can use to build and maintain a relationship. This can be a visitation solution when the parent is incarcerated. Alas, there are circumstances when a child can’t be left alone with their non-custodial parent, even virtually. In these cases, supervised Skype visitation can be utilized. This means that there is a psychologist or therapist (the specific kind should be agreed upon by the parties) on both ends of the Skype call. This protects the child from inappropriate words or actions of the parent and offers the parent guidance so they can learn how to behave and how to have a healthy relationship with their child. It is possible to get this in a court order so that the non-custodial parent doesn’t try to get around the rules. One thing that should be included in the guidelines is that the child is permitted to end the call anytime they feel uncomfortable. This empowering condition sets the tone for a healthy relationship. To learn more about unconventional custody and visitation means, contact the family law attorneys at Women & Children’s Law Center in Oklahoma City.